I’ve always been kind of a homebody. But I have never wanted less to leave the house (and the couch) less than when I was (still am……) pregnant. In addition to buying tons of books, I also started commuting by car, which meant more time for audiobooks. Because I was reading so much, I decided to make it my first year to do the Goodreads Challenge. Since I also luckily had a couple days off at the end of December, I was able to wrap up 52 books, a year’s worth of reading a week. Here are my favorites of 2014 (not necessarily published this year,) in no particular order. I listened to this as an audiobook when I started commuting to my new job in June, and the narrator’s voice really helped transport me to Nigeria. 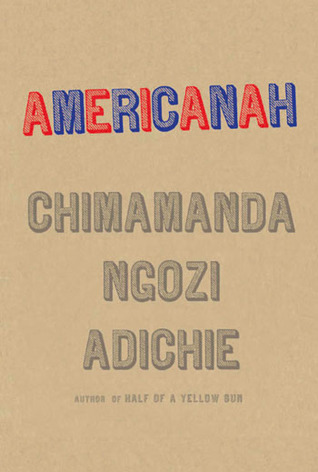 I was lucky enough to see Chimamanda live a couple years ago in DC, and she seemed just as gracious and interesting in person as she does in the book through her narrator, Ifemelu, who leaves behind Nigeria, and her first love, Obinze for the United States. This book is more about what it’s like to be African (not African-American) in America and London than it is about either of the characters, I think. It’s a perspective I as a European white person could never have, so I was really interested in a lot of the observations she made, especially about African women’s hair, American academia, and politics. The other interesting part to me was the history of Nigeria, woven throughout the story. Although, what was surprising to me was, that no matter how different of a background the author and I have had, we share a lot of the same outside views of America and Americans, leading me to believe that all immigrants to America are basically the same. Unfortunately, I couldn’t identify at all with Ifemelu, the main character who decides to go to America after endless university strikes in Nigeria, leaving behind her one true love, Obinze She seemed cold to me at times and the life choices she made not predicated on anything but whims. But, Chimamanda’s warm, playful voice flowed throughout, and Obinze was so real – he reminded me in a lot of ways of men I know in my own life. A definite must-read if you’re looking to get a different perspective on America or start learning about Africa from what is, essentially, a series of blog posts. I don’t read a lot of nonfiction because I find it tends to be dry, but this book is most definitely not. I’d heard about how lively of a writer Mary Roach is before, and this proved to be true. 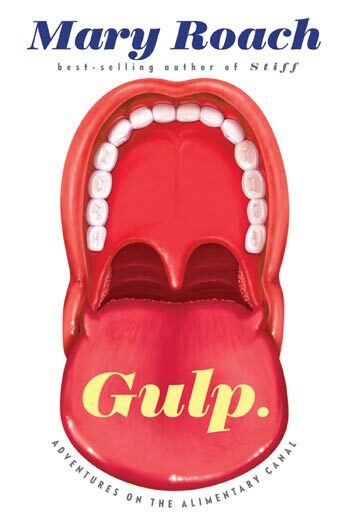 I had no idea what an alimentary canal even was before I started, but Gulp really goes in depth into what happens when you chew, in a way that’s not disgusting at all. I love all the research she did, but mostly the way she packaged it as entertaining and engaging. A true nerd’s book, probably best not to be read before your doctor’s appointments. If you have not already read The Magicians and The Magician King, this book will not make any sense. 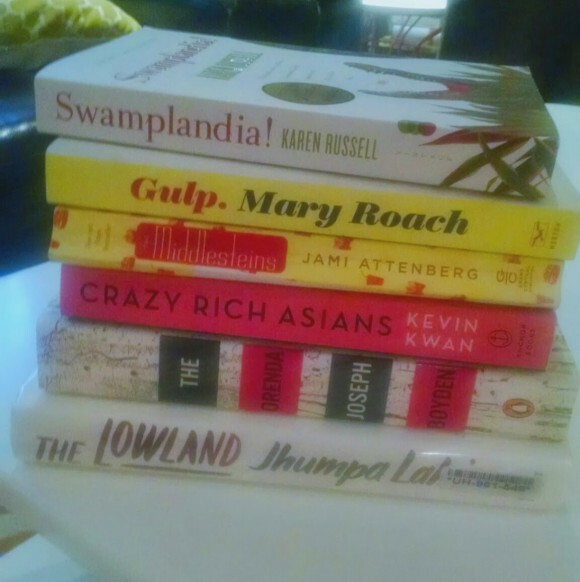 Also, why have you not read these books yet? They are the greatest new fantasy books to come out since The Golden Compass by Philip Pullman. I feel very strongly about this. If you have read them, it will be like returning to an old friend. 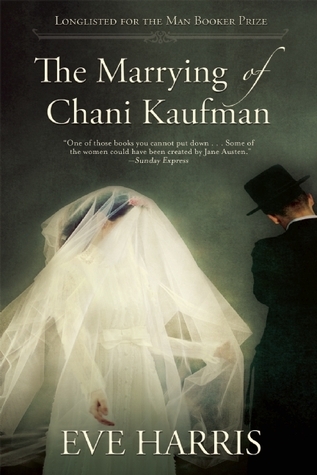 Grossman has this way of writing certain passages that will imprint them in your memory. I’m still thinking about Mayakovsky and the whales. By the way, you don’t need to love fantasy to love these books-just be interested in real, flawed people making choices. I used to have an economics professor from Singapore who was one of the hardest professors I’ve ever had, also one of the cheekiest and most fun. Aside from what she told us about the canings, I knew almost next to nothing about Singapore, or the rich people of Singapore, before I read this book. Don’t let the chick lit-y book cover fool you. There is A LOT to learn within. 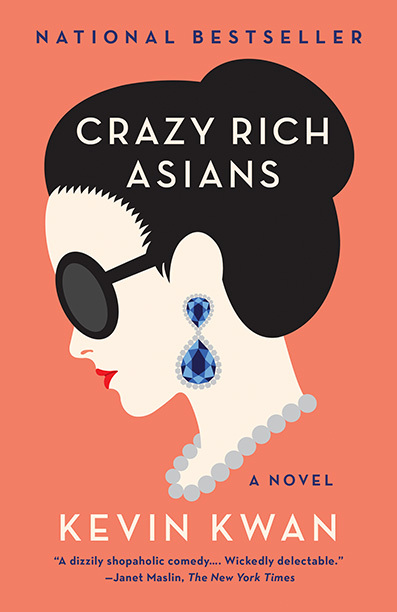 The plot involves a rich Singaporean dude who hides how rich he is, lives modestly in New York, and has to go back to his insanely rich, spoiled family for a wedding with his girlfriend, who is Asian-American, and knows nothing about his background or culture. It’s a really fun plot, and a really fun read. I hesitate to call it chick lit because it’s definitely not and delves into some serious issues about wealth, fitting into families, eccentricies and secrets, etc, but it’s that kind of flavor-light, gossipy, fluffy, with lots of brands bandied about, and a huge sense of humor. This one went very quickly. I bought this book in the Montreal airport coming back from a conference, because I’d heard that it was a huge deal in Canada and it was plastered over every book stall. It is an Enormous book, not in the page-count sense of the word, but what’s within, and it’s written by someone with enormous talent. 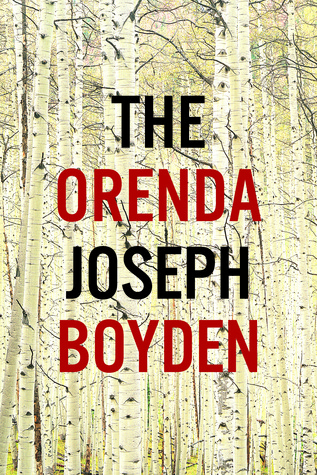 Written from the perspective of a Huron warrior, an Iroquois girl, and a French Jesuit priest kidnapped by the Huron tribe, it delves into both personal and enormous national history in the 1700s in Canada. The chapters give no indication of who is narrating at any given time, but that’s the book’s biggest skill – the writer is so good, you can tell who’s speaking within a matter of sentences. I was hugely drawn into the world of Huron culture – the research done was meticulous. The most amazing part was that I came away with the book not being able to hate either side, in spite of the atrocities done to each other. I resisted this book just because it’s been hyped so much in the press, and I’ve already been let down by The Goldfinch and a couple of other blockbusters, but Lahiri delivers. It is so powerful. I wanted to cry in several places. She knows exactly how to write to elicit responses from the reader that make you think, “This is how I feel about my family, too,” especially if you’re an immigrant. 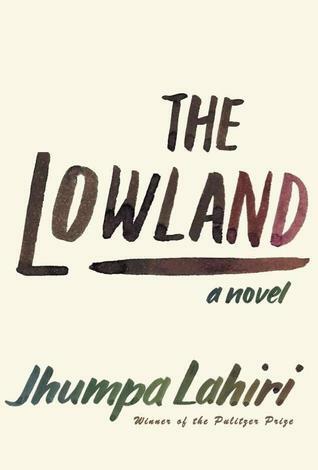 The first half of the book, about the Naxalite movement, which I didn’t even know existed until I read Lowland, was riveting. The second half, about living in America in the aftermath of decisions made decades ago, was a bit more static and seemed to lose steam at the end, but that doesn’t mean you shouldn’t pick it up. There is a lot in here to take away, about how we make life choices and compromises, about what’s important to us, about what family means, and about death. All the makings of a Lifetime special, if Lifetime weren’t stupid. I loved Russell’s short story collection, and I loved this book too. It is just so weird and creepy and quirky and shining, like a small jewel. 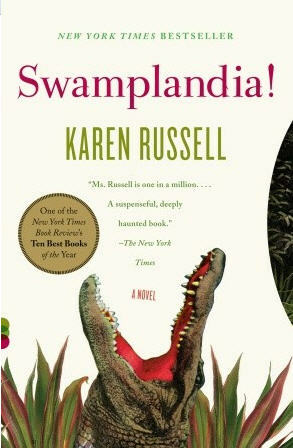 Russell’s word choice is nothing short of amazing, and the way she manages to make the swamps of southern Florida a magical place where reality blends with otherwordly elements is to be savored. The characters are sympathetic and it’s easy to identify with them. 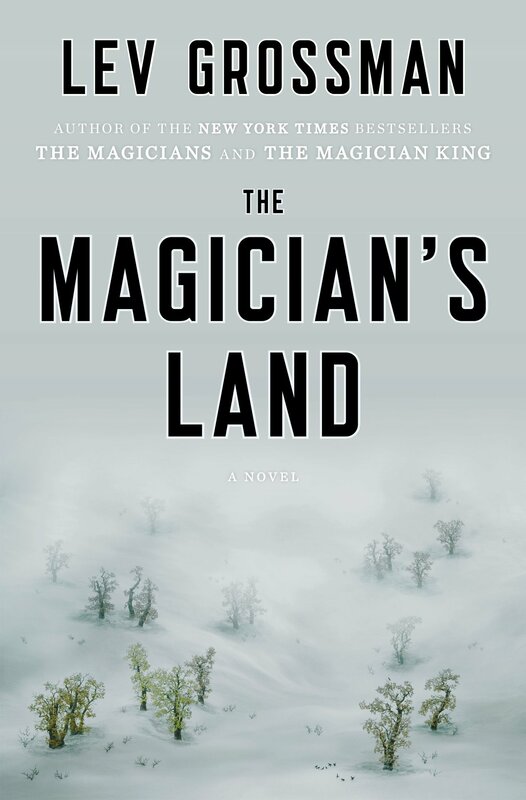 It’s not quite magical realism, and it’s not quite not. Another book I held off on because it’s just gotten too much praise. I need to stop doing that. It was good. 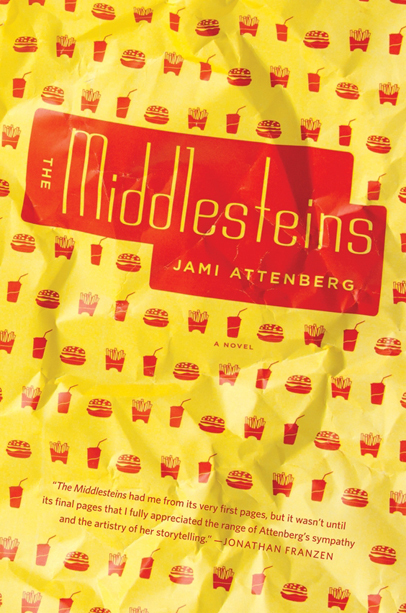 It’s about a Jewish woman, Edie, who is nearing 60 and just can’t stop eating to save her life. Everyone calls this a Jewish book but I really think it’s more about American suburbia, how it impacts people, and families in general, how they react to certain things, how different family members view disturbances in the family and deal with them. It’s not quite funny in the way reviews say it is, but it is very heartfelt.